Take one bowl , add hung curd and honey and whisk well make smooth . pour this mixture into piping bag. 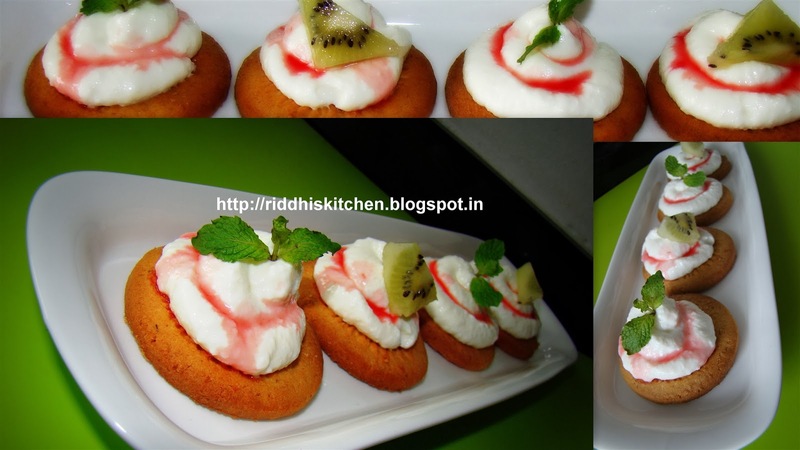 Take Serving plate , arrange fiber biscuits , put creamy hung curd with use of piping bag , pour rooh afza , garnish with kiwi fruit. do same with remaining biscuits . Ready to Serve "Creamy yogurt Canapes . Tip : u can use any type of biscuits.